Filipinos can now report crimes and other related-concerns directly to the current Philippine National Police (PNP) Chief, Ronald 'Bato' Dela Rosa via text. 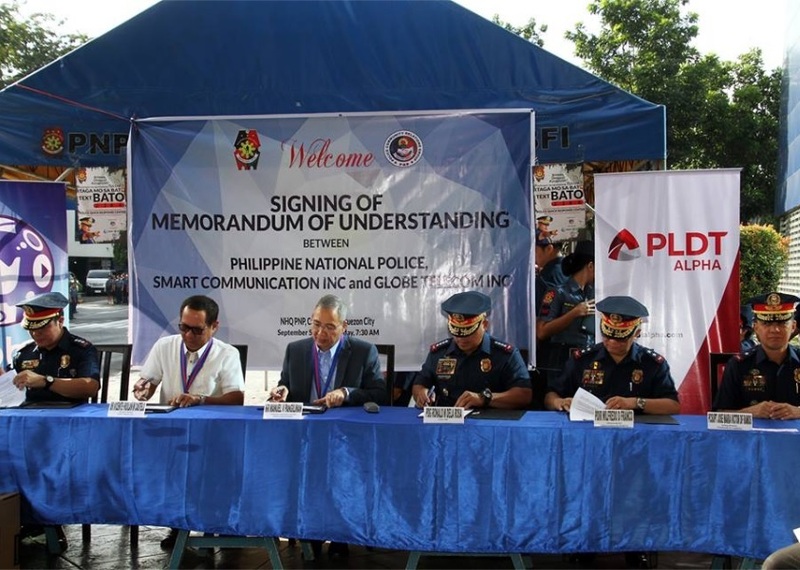 Telecommunication firms, PLDT and Smart Communications, signed a Memo of Understanding with the PNP on September 5, launching the 24 hour hotline service dubbed as 'Text Bato'. Through Text Bato, citizens can report crimes even when they are using ordinary mobile phones. For Smart subscribers, type BATO (space) message and send to 7444-2286. The standard fee of P1 per SMS will apply. Globe, according to GMA News Online, will charge P2.50 per SMS via 2286. After sending a message to BATO, the hotline will send back a confirmation message from sender name "PNPBATO". Now, what happens after the PNP receives the message from a concerned citizen? The Text Bato Operations Center will have to verify the report and respond appropriately and immediately. Note that the hotline is centralized and the PNP can refer the complaint or report to any of its police stations nationwide. PNP Chief Dela Rosa himself can have access to reports and will be granted the capability to respond directly to any message from the general public via a wireless device provided by Smart. Meanwhile, Globe has also provided an interactive platform for the hotline for Text Bato. Both telcos assured that user identity of those using Text Bato will remain confidential. Text Bato will focus on crime in general, traffic management, and other issues that come under the jurisdiction of the PNP. So now, it may be a good idea to store in your phonebook these crucial numbers: 2286 for Text Bato, 911 which is the country's emergency hotline number, and 8888, the national complaint hotline.